Talk about a head-turner. 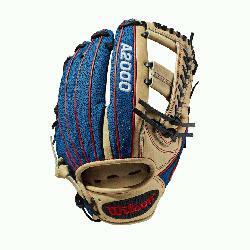 This Blonde Pro Stock Leather-Blue SuperSkin custom A2000 1785 is sure to catch fans' eyes while you're making plays. 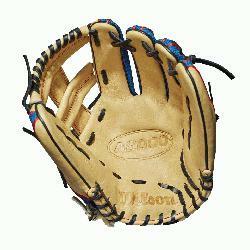 A Cross Web design with baseball stitching ties it all together in this beautiful 11.75" model. 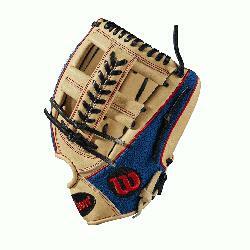 Each month, Wilson unveils a new A2K or A2000 Glove of the Month -- a unique limited-edition Pro Stock ball glove available only in-store from select dealers. Past Glove of the Month gloves have included player customs, one-of-a kind models and fan-designed contest winners. 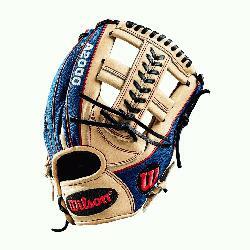 A portion of the proceeds go to Pitch in for Baseball, a longtime Wilson charity partner.